Maurices Wine Cru | What is the next trend in Craft Beer? What is the next trend in Craft Beer? Craft beer is happening everywhere! However, if you live in San Diego, it is easy to believe that San Diego is the capital of craft beer. We have over 100 breweries in SD. Heck, we have Ballast Point who sold for $1 billion dollars. We have Stone Brewing who opened a brewery in Germany. Blind Pig Brewery created the double IPA. Blind Pig was where Russian River Brewery was first conceived. We are legit. This is classic narcissism. We can’t stop looking at ourselves and think that we are the best . But, rightfully so. When I google ” beer capital of the USA” CNN says it is Portland, San Francisco and San Diego. Thrillist says Portland, San Diego and Denver. Yahoo rates it Portland, San Diego and Denver. We are the leaders in craft brewing. But what is a more accurate statement is craft beer is happening everywhere! 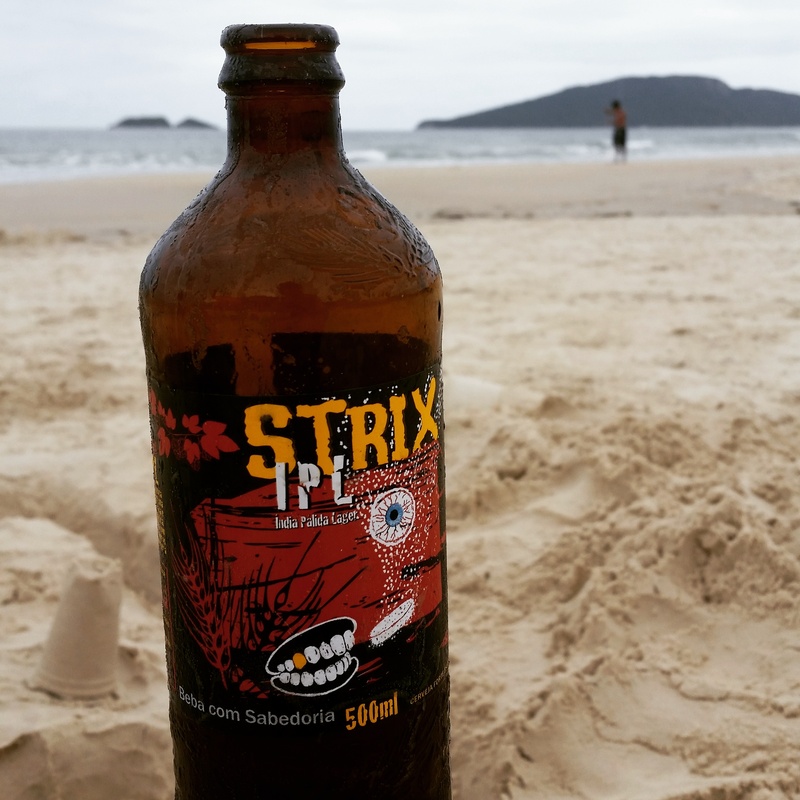 On a recent trip to Brazil, I came across many craft beers from different Brazilian cities. I’ve been to Brazil twice before and never saw much craft beer. There may have been one or two brands, but now the markets have a dedicated section. Beer in Brazil has always been a yellow watery fizzy drink, drunk very cold. The key is to drink it so that there is a layer of ice floating on top. Since the weather is so warm, people need a low alcohol refreshing drink. It makes sense. However, low alcohol and refreshing does not mean flavorless. Typical Brazilian beers are made with adjuncts such as rice, corn and cabbage. The new craft brewers are using barley…what a novel idea. One of the trends I see happening in areas such as Brazil, and let’s throw San Diego in there as well, is light hoppy beers. The session IPA has been all the rage in warm cities. Brewers continue to make their beloved IPA’s but tone down the alcohol so that we can enjoy more than one beer. In Brazil I tasted a delicious IPL, India Pale Lager. It was by far the best beer for serious beer drinkers in Brazil. It made sense. It is light and refreshing with hop aromas and slight bitterness to give balance. I see that Modern Times is also making an IPL, Although it is a specialty beer, I can see them adding it to their core don the road. I expect this summer we will see more brewers brewing this style. India Pale Lager, I believe will be the next trend in craft beer. The lager is the most influential beer style in the history of the world. It is what most of the world drinks. Whether you are in China, Mexico or Germany the lager reigns supreme. So it only makes sense to amp it up with hops and bring the lager into the craft movement. It may not be the ideal winter beer if you’re living in Minnesota. But for the summer time, it is the best. The India Pale Lager is the next trend in craft beer. Say good-bye to yellow fizzy beer and hello to yellow refreshing hoppy beer. Do you want to learn more about beer? Want to know how it all started and what to look for in a beer? Why not come to my beer school. It is a fun and interactive way to learn about craft beers. Beer school will be at OB Warehouse and the spring semester starts April 23rd. I look forward to sharing some beers with you.